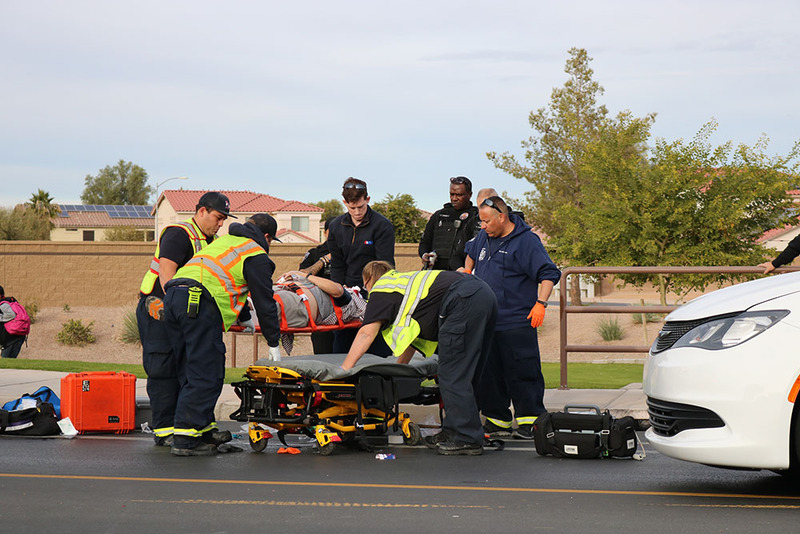 A pedestrian crossing a boulevard in Maricopa Meadows was struck by a minivan and had to be transported to a hospital Tuesday afternoon. According to Maricopa Police Department, the 69-year-old man was on a push scooter when he crossed in front of traffic mid-block in a location without a crosswalk. The white minivan was traveling about 30 mph when it collided with him, MPD estimated. The man reportedly suffered head and leg injuries and was transported to a trauma center. The incident was at the curve of Hogenes Boulevard and Bowlin Road at Orchid Avenue.